The weather is hot and we are in the thick of summer here in Yellowknife. That means many things but one in particular. Folk on the Rocks is here. This event, now over 30 years old, is still rocking strong. 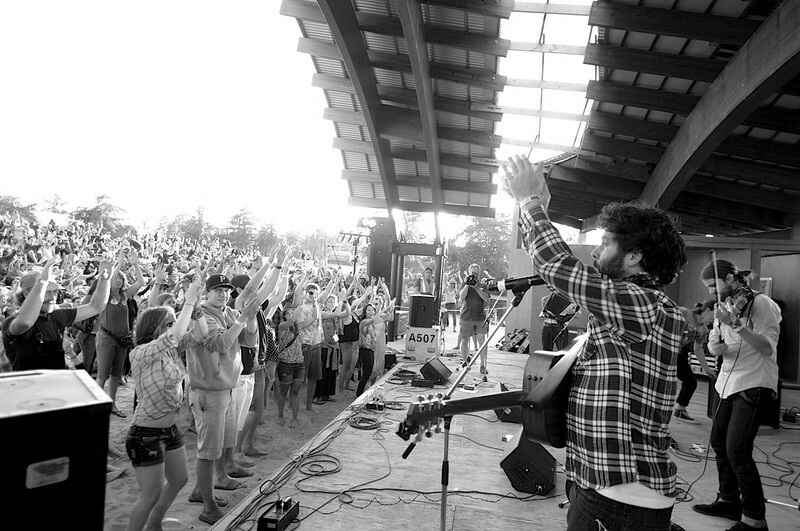 In the past, we have promoted the schedule and made sure you know where you need to be when, but you can get all that on the Folk on the Rock website at FolkontheRocks.com. Go there for all your schedule needs. This article is about how to properly folk. 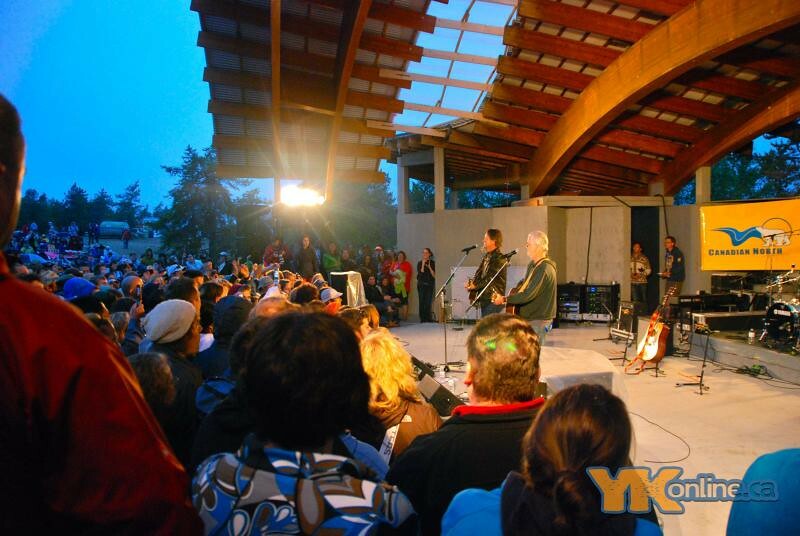 Or rather, how to make the most of Yellowknife’s biggest festival. A couple weeks prior to the 2014 Folk on the Rocks Festival I sat down with some of the Folk on the Rocks organizers and figured out how exactly to make it the best weekend of your summer. These tips remain true to this day. Pants – Evenings get cool and the extra layer will be very comforting to keep you going into the night. Socks – The festival grounds is very sandy. Extra Flip Flops – Flip Flops break. It is very simple to have a backup pair on hand for yourself or a friend. Suntan Lotion – You are in the sun all day. This is common sense. Apply lots. A Big Floppy Hat – “People love a big floppy hat” – It will also keep the sun off your neck. Snacks – Lines for food can be very long and far away. Having food on hand will curve that craving instantly. Blanket/Towel – 1. good for swimming in the lake and 2. good for saving that prime spot at the main stage. Swimsuit – The festival is beside a lake and it can get hot. Have a swimsuit on hand to take a quick dip. Band-aids/First Aid – While measures are put in place for safety, things happen. First Aid will be on hand but have a backup with you. Stay safe. Extra Sunglasses – You know the whole land of the midnight sun thing. Finally, make sure you label your bag to that it’s clear which one is yours because you will obviously be the most prepared person at the festival. Fill your water bottle half full and freeze them sideways – This will allow you to continuously fill your bottle with water and have it cold for a longer period. Make a Natural Remedy – I was enlighted that many longtime festival-goers swear by certain remedies, but some of the basics are using honey, cilantro, mint and other natural sugars in your water. All of which should give you a boost throughout the weekend. Most of us do this already but checking the schedule ahead of time is a smart move to make sure you get to see the artists you want and to organize when to go with your friends. Find all the schedules for Thursday, Friday, Saturday and Sunday here. Or download the app. I’m told it is awesome and you can star the artists you want to see. The main stage is the popular place in the evening. Everything else is closed down and one big show happens. Clearly, you’ll want the best seat, but how to get it? The general rule-of-thumb of the main stage seating is blankets in the front and chairs in the back. This will be marked. There is always a clear path through the middle of the stage to the sound booth. Dancing also happens in the middle area close to the stage. Go early. Head to the ground around noon and stake your claim with a blank or chair. I can’t guarantee it will be there when you get back but generally, people are respectful. Dogs – Dogs are not permitted on the festival ground. It gets hot out there. It is best to leave the furry critters at home. Service dogs are absolutely welcome though. Emergencies – Whatever the emergency tell a volunteer. 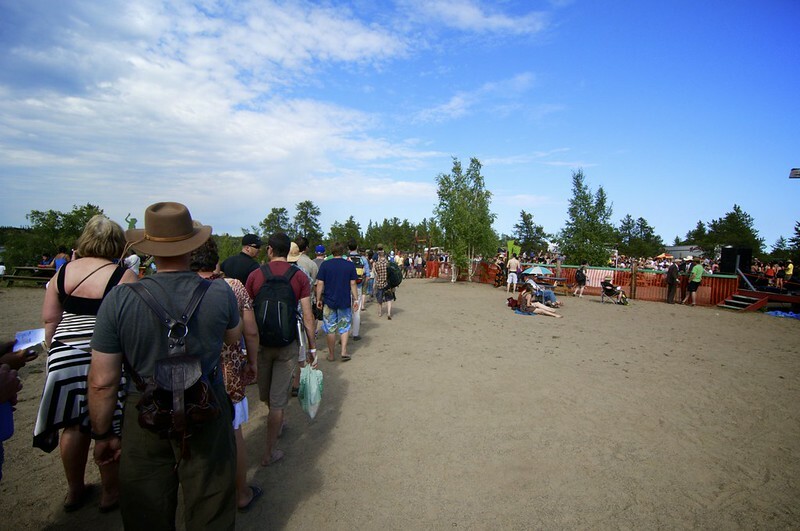 There will be over 400 volunteers on site, get to them first. Or obviously Fire/Police. Nursing Moms – If you are looking for a quiet, calm place to nurse your little one see the folks at the volunteer station. Parking – Simply don’t drive. While there is a parking lot and people do park on the highway. Take the bus. Especially if you plan on drinking. And above all else, have fun, be safe and enjoy the weekend. Have a tip on how to folk at Folk on the Rocks, leave it in the comments.